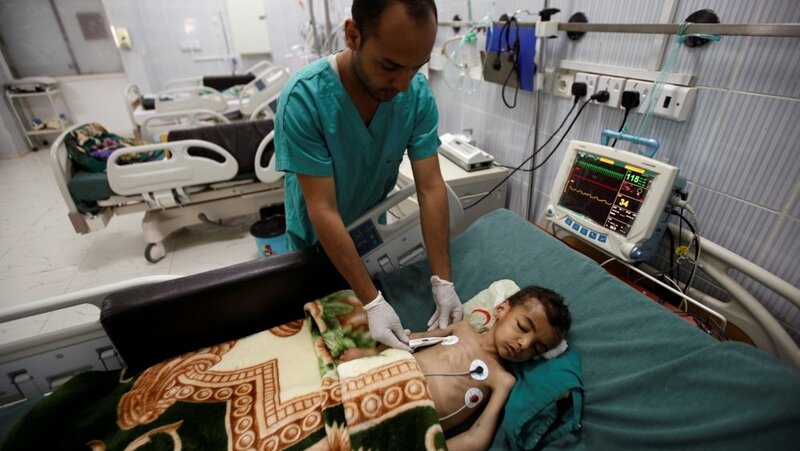 The United Nations has warned that Yemen is now facing the worst cholera outbreak anywhere in the world. A statement by UNICEF and the WHO says the number of suspected cholera cases in Yemen has exceeded 200,000. UNICEF and the WHO say they are doing everything they can to stop the outbreak from accelerating. The country’s health, water and sanitation systems are collapsing after two years of war between government forces, backed by a Saudi-led coalition, and the rebel Houthi movement. The Houthi rebels control much of the country, including the capital Sanaa. The UN says it is deploying rapid-response teams to go house-to-house telling people how to protect themselves by cleaning and storing drinking water. However, clean water is in short supply. Cholera is an acute diarrheal infection caused by ingestion of food or water contaminated with the bacterium Vibrio cholera.